A timeless story of human self-discovery and connection, Moonlight chronicles the life of a young black man from childhood to adulthood as he struggles to find his place in the world while growing up in a rough neighborhood of Miami. 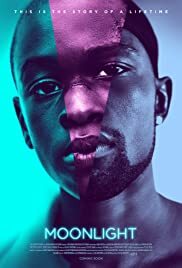 THE REVIEW: Like with La La Land, Moonlight is an Oscar frontrunner this year and I had only heard great things about this film going into it. I came out of the film with my initial reaction being, “Moonlight is a lot like Boyhood, except focusing on the life of a black boy/man,” or in other words, I liked it a lot. Many criticized Boyhood, and filming with the same actors every year for twelve years, as a gimmick. While it is no doubt a gimmick in the sense that no filmmaker had done that before, the end result was undeniably moving. In my review I argued that “The character development the happens in this film is development that could only happen over twelve years. It’s not something you can script at day one and expect everything to fall into place. It’s something that has to come naturally and unexpectedly, as it does in real life.” I still think Boyhood is special in what it managed to accomplish, but Moonlight also proves that is is possible to accomplish the same feat without the gimmick. The development of Chiron through three stages of his life — as a young boy, teenager, and adult — is done masterfully, pinpointing perfect scenes to highlight his development. It’s a lot of show instead of tell, a goal many films should strive for. Moonlight starts off so well with young Chiron (Alex Hibbert) who rarely speaks at all. He speaks so infrequently that it’s frustrating (in a good way) because you just want to hear what he’s going through. It sets up his shy character that is the basis for his life and the film. Even when he’s faced with adversity (teenage Chiron) or grows into a powerful leader (adult Chiron), that shyness stays with him in some fashion. In the same way that we saw Mason grow up in Boyhood, we see Chrion grown up in Moonlight. Moonlight is memorable and impactful. Like any great film, you can watch it as is and take a lot away from the experience. However, you can also bring your own experiences — small or big, relevant or not — to better connect with the characters and story. For a film that can be as moving and powerful as it is, it’s also surprising in it’s ability to stay out of the way. A very hands-off film in the sense that director Barry Jenkins isn’t forcing anything upon the viewer, which can make it seem like not much is going on, yet by the end you walk out of the theater just thinking about what you just saw. My ratings have been known to be slightly random at times and I think Moonlight is going to join those ranks. Chalk this one up to uncertainty and trying to compare it with the other Oscar nominated films this year. I do think films deserve to be ranked comparatively, my problem right now is I have little to compare it with. The film is my current pick for the big categories (Picture, Director, and Screenplay), but that’s because the only other contender I’ve seen is the aforementioned La La Land (which I liked considerably less than Moonlight). And while I know it’s unfair to base my rating solely on the fact that I’m mid-Oscar season and I haven’t seen the other films I so desperately (perhaps foolishly) want to compare Moonlight to, I’m going with my gut and giving it a four.